Let me start by saying I am matte mad. I have so many matte lip products and I am forever buying more. I like the look, the staying power and really, can you EVER have too many? 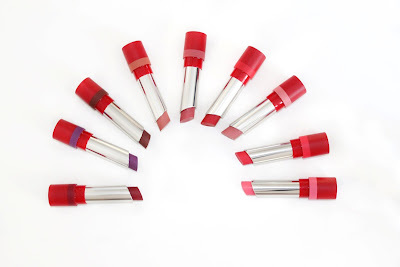 I can tell you that the answer to that question is a resounding ‘no’ and I feel that Rimmel really shared my sentiments on this when they kindly sent me their new Only 1 Matte Lipsticks. That’s nine new shades to add to my collection and they are all truly beautiful. What I like best about this range is the selection of colours. I can be a creature of habit when it comes to picking lipsticks and if I am being totally honest, the last five shades that I’ve bought have probably been nudes. An injection of colour was long overdue and these lipsticks are certainly that. From brights to darks (and even including a purple, which I cannot wait to have an occasion for), there is a range of colours for everyone. 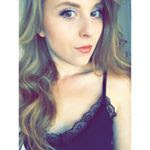 In terms of the formulation, I have cannot pick any faults. I have tried matte lipsticks before that feel that they are completely draining all moisture from my lipsticks, but that definitely isn’t an issue with these. I found that they have quite a creamy texture, glide on easily and are non-drying. Given this, I was interested to see how well they would last. I have been alternating between the different shades at work and seeing how far through the day I get before the colour starts to wear off. Most days I have my makeup on by 7.30am, but by lunch time, my lipstick was still intact. They offer high coverage and yet feel so light and comfortable that at points I’ve even forgotten that I have any on. The colours are all so flattering, but if I had to pick a favourite, I think that might just have to be Salute. It’s a really subtle and versatile pinky shade which works well against my pale skin tone. All of the lipsticks have great names but I also especially like this. It reminds me of the Little Mix song, although luckily for anyone in my vicinity doesn’t induce any singing! 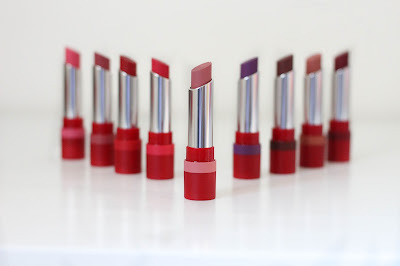 You can now pick these lipsticks up for yourself at Superdrug stores for £6.99 which I personally think, considering how fantastic these are, is an absolute bargain! With Halloween right around the corner, naturally I've been getting into the spirit with one of my favourite activities - perusing the aisles of Lush for ghoulish bath time goodies! I used this on Sunday night and I can already say I'm gutted that it won't be part of the usual range. When dropped into the water, it fizzes and bubbles to create a beautiful array of colours. 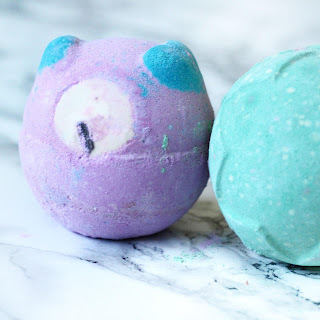 As well as containing a dash of lime oil and nerolio oil, the eye in the centre of the bath bomb is made using cocoa butter which means that you get a really smoothing bath. The combination of ingredients means this one also has a really lovely fragrance - and I am definitely going to buy another (five) before this stops getting stocked! I bought this bath bomb in the Oxford Street Lush branch. I'd never been there before and I just couldn't believe the size of the store - two floors of Lush products is almost too good to be true. I asked one of the members of staff which of the Halloween products she would recommend and she reached for this one, then demonstrating it for me on one of their big sinks. Once this green bath bomb hits the water it begins to fizz around furiously as expected, before slowly starting to change colour. After a few minutes, the pale green shade had turned into a deep blood red. I was suitably impressed! This has an almost earthy scent, undoubtedly the result of the use of pepper oil and patchouli, which I really like too. I picked this up purely based on its cuteness, but it was definitely a good choice. 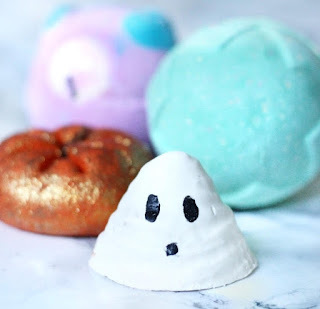 I'm a really big fan of bath melts; they soak right into the water and always leave my skin feeling fabulous because of the super moisturising cocoa butter. This melt also contains floral and citrus oils, ginger and sandalwood which combine to calm, cleans and condition. I can't wait to use this one! They certainly weren't lying when they called this one sparkly! Without doubt, this bubble bar is the glitziest Lush product I have ever bought and actually, it does remind me a little of the coach from Cinderella - mid fairy godmother magical transformation anyway! Bubble bars aren't something I have really got on well with in the past; I can never get enough bubbles and always seem to make a big mess when using them. Given the amount of glitter on this bar, I imagine this time mess will still be an issue, but one of the shop assistants gave me all her best tips on how to get the best bubbles so I am hopeful that this time my bath will be as frothy as I want it to be! The addition of grapefruit and juniper oil is used to leave skin feeling banished and refreshed. The glitter will just leave you looking glitzy for the rest of the day! Have you headed to Lush yet? What are your top bath time recommendations? 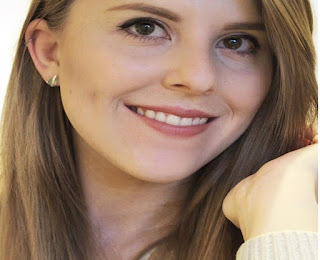 Rimmel products have long been a favourite of mine, right from when I first began to take an interest in makeup while navigating my early teenage years. From foundations, to blushers, to eyeshadows and lip products they had just about everything, at a great price for great quality. The topic of today’s post though is mascara which, like many other women out there, is my absolute staple. I want a lot from a mascara. My natural lashes are pale, long and straight. I’m fussy with brushes, because I want one that will enable each of my lashes to be coated evenly. I want to be able to apply it in the morning and I don’t want it to budge until I’m reaching for the makeup remover at bedtime. I feel like Rimmel, my much relied upon beauty brand, have completely understood all of my desires without me even needing to utter them, with the relaunch of their already popular Scandaleyes Mascara. 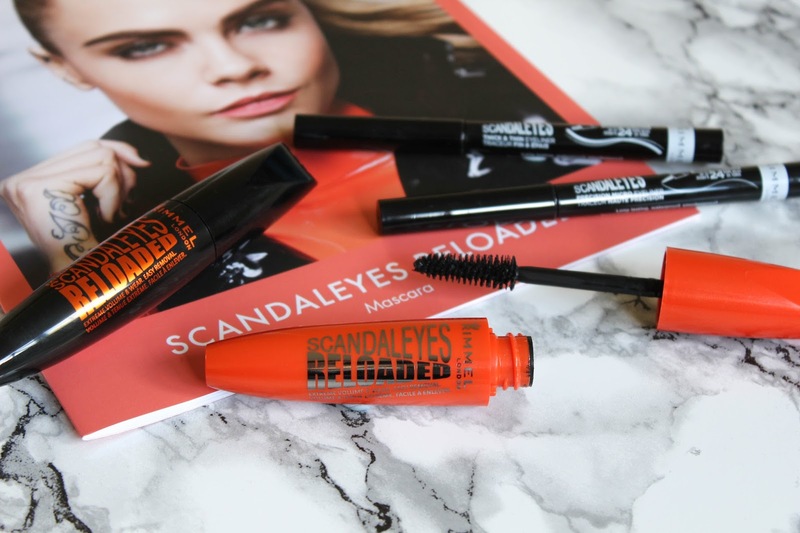 Evidently designed with the busy working woman in mind, Scandaleyes Reloaded has been engineered to deliver up to 11 times more lash volume, last throughout day with no smudging and then be easily removed with warm water when required. The mascara has quite a big brush, slightly tapered towards the end. 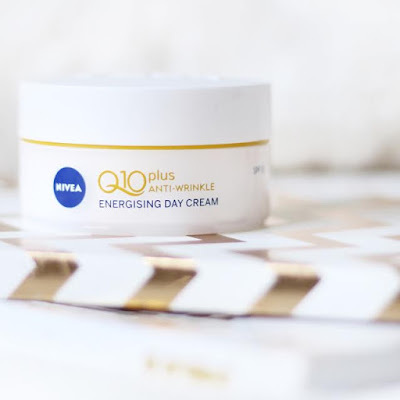 This is not something I usually favour, however, means that this combined with the patent-pending formula leaves lashes clump free yet bold. I’ve been alternating between the two mascaras for the last couple of weeks; the extreme black version is perfect if you want a slightly more dramatic look for an evening out, for example. 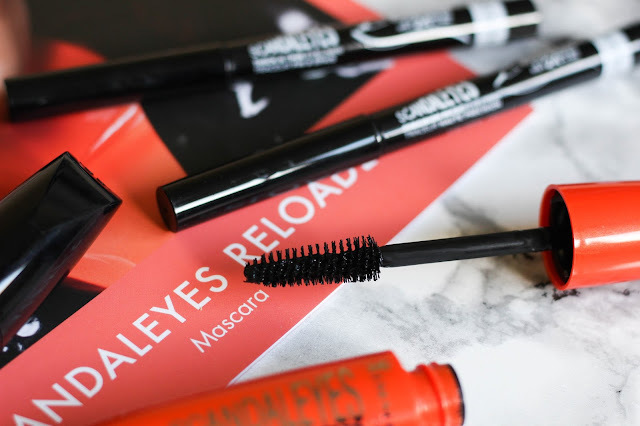 I like the look these mascaras create, darkening my lashes giving them really intense volume. The shape of the brush makes it really easy to get the same effect with my lower lashes too, as I can use the thinner end and ensure the smaller ones in the corner of my eye are captured. I’ve been pairing my new mascaras with the Thick and Thin and Micro Scandaleyes Liners. The Micro Liner is definitely my favourite, because the thin tip allows me to draw a really precise line which is close to my lashes and really perfect that feline flick at the end! You can see how I’ve used it, with the mascaras, in this everyday look below. 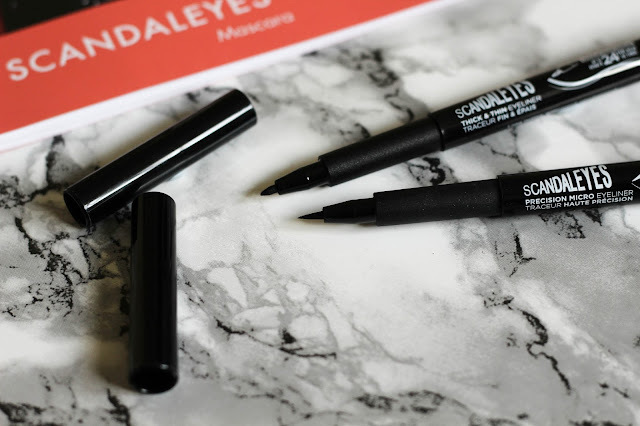 Scandaleyes Liners retail at £5.49.